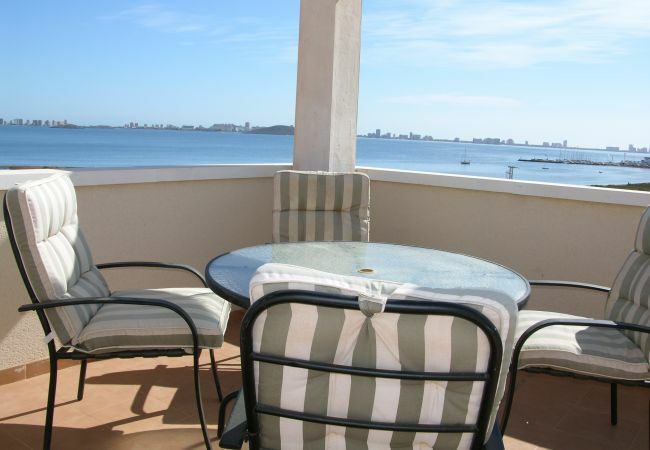 This spacious penthouse apartment is located in the complex of Villa Cristal 2 in Los Nietos. 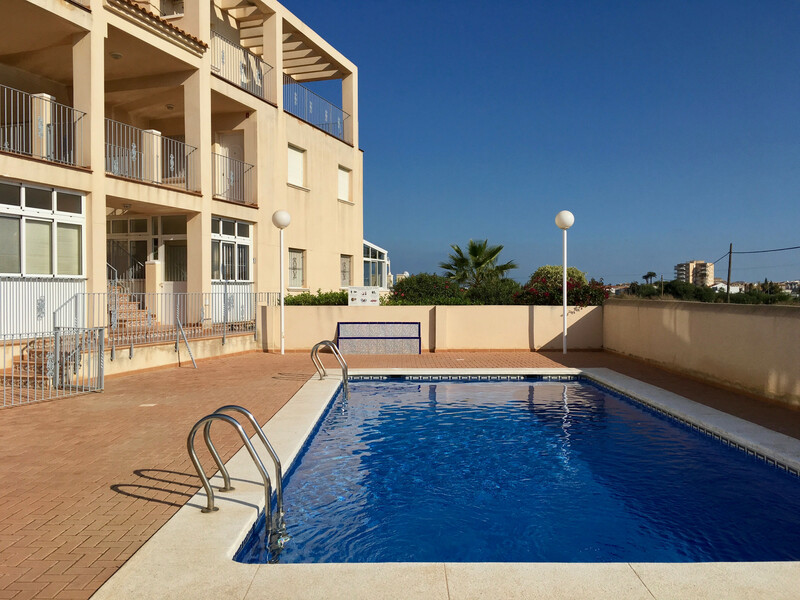 The apartment is front line to the beach and has a communal pool. 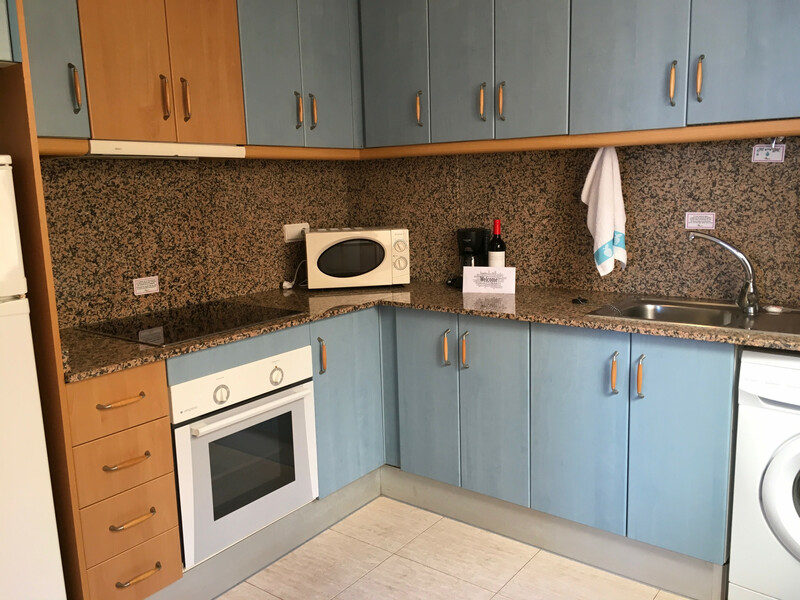 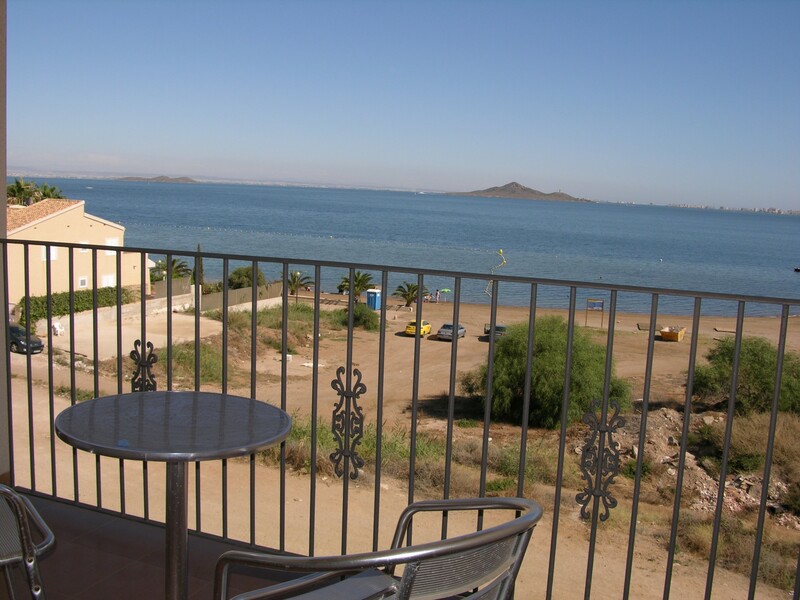 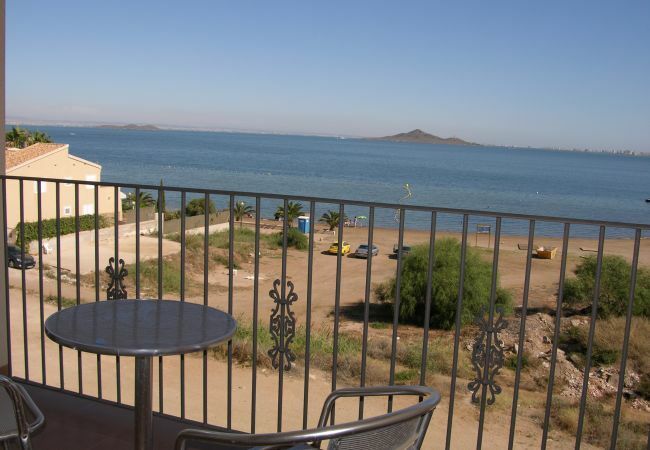 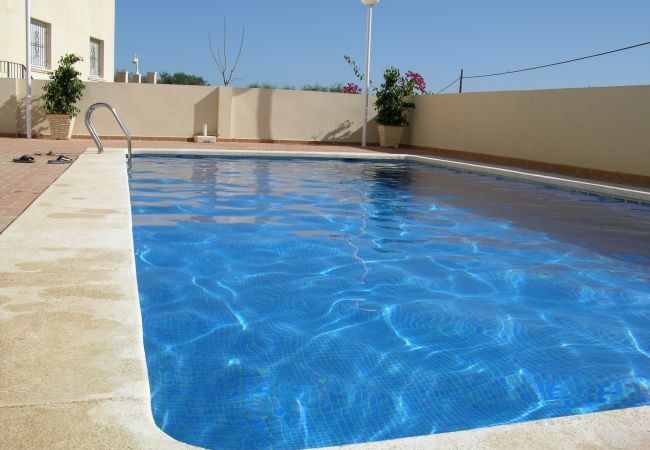 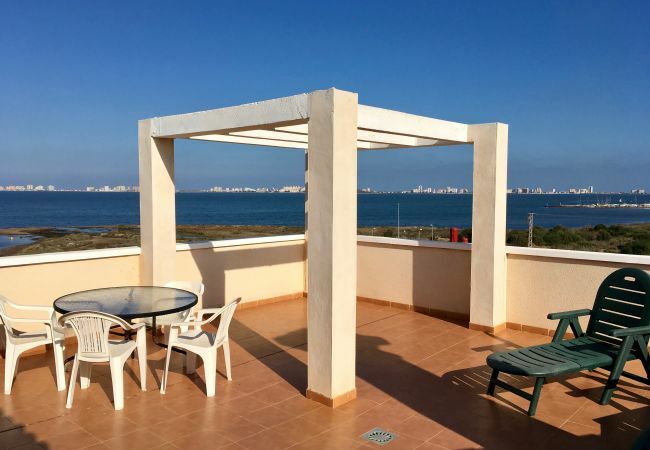 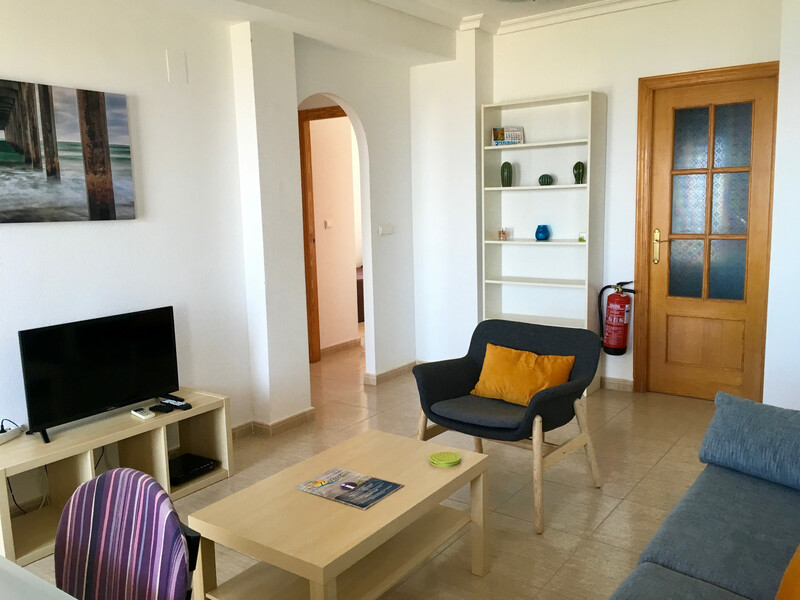 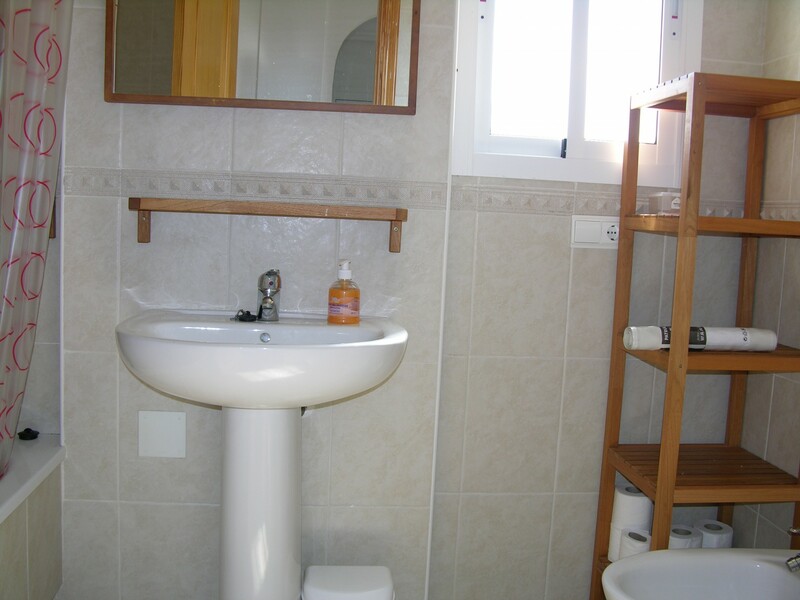 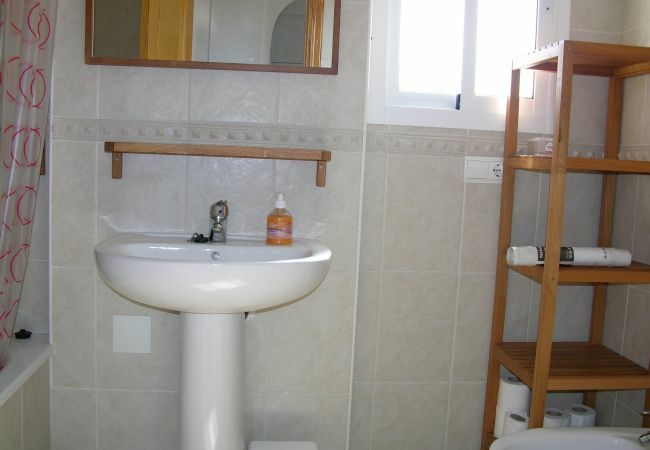 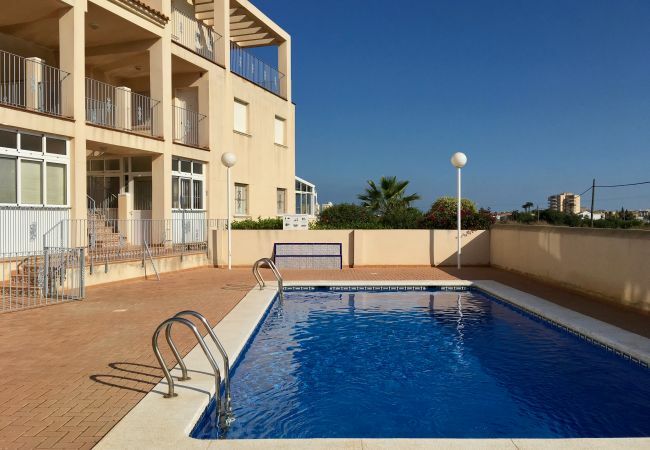 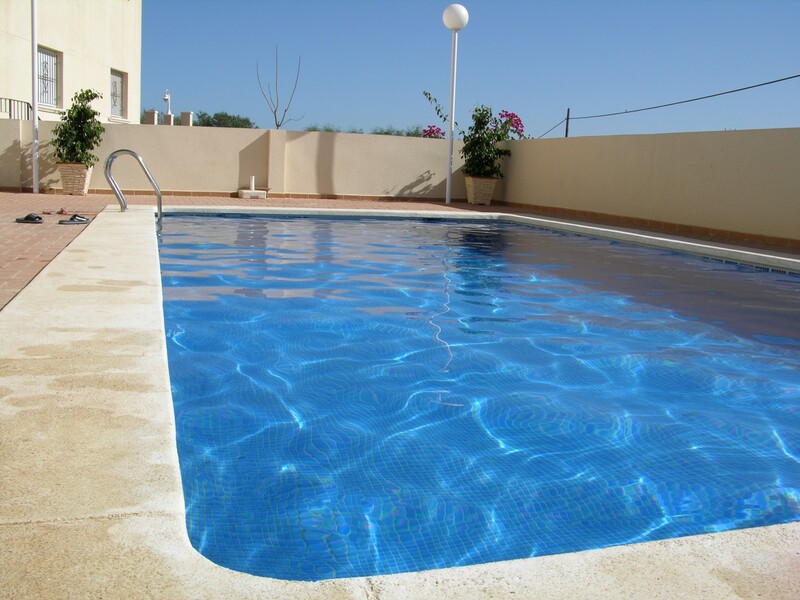 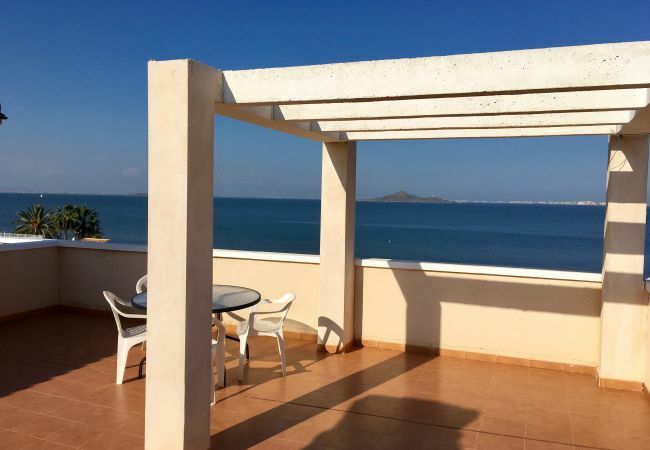 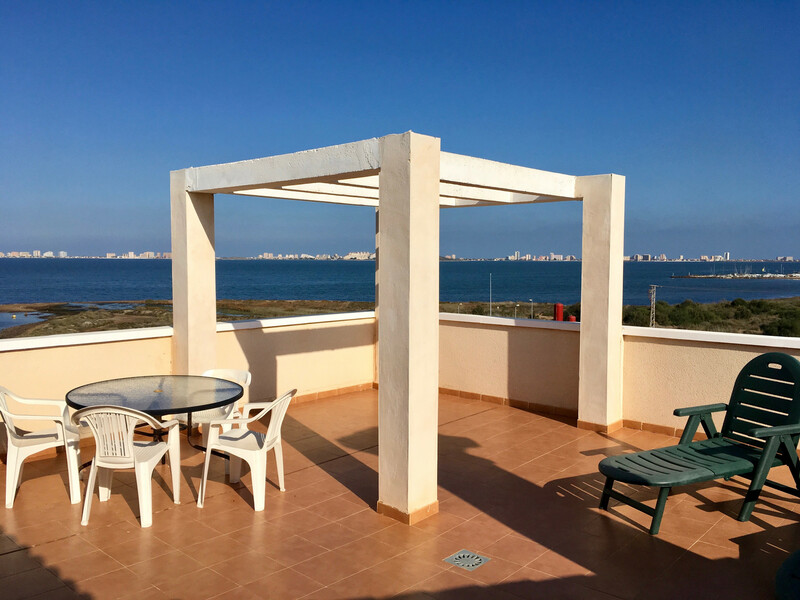 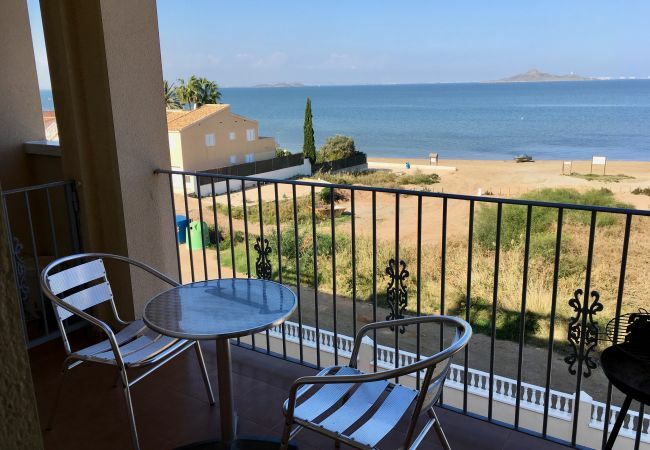 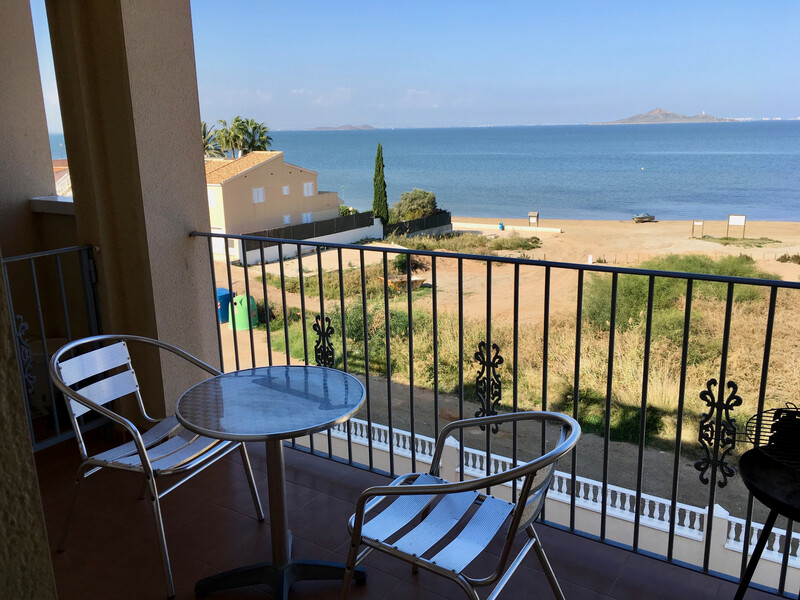 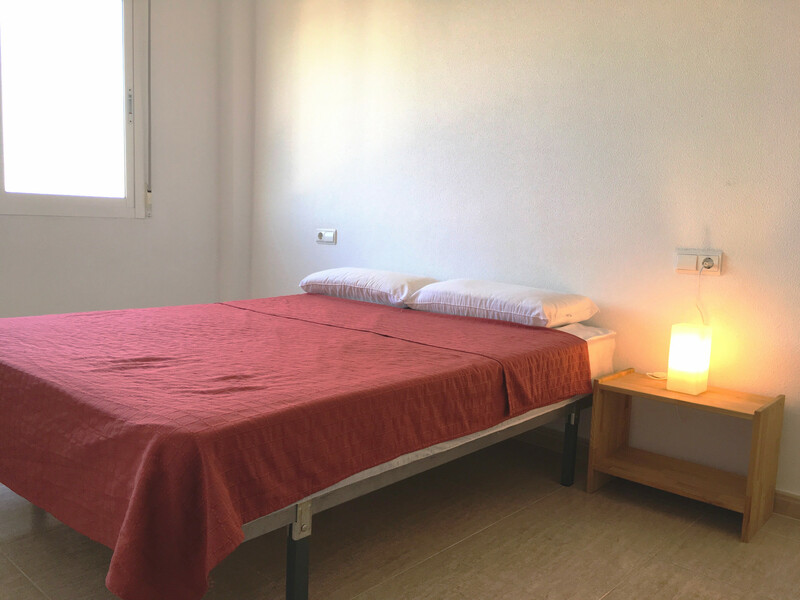 The property has 2 bedrooms, family bathroom, fully equipped kitchen and balcony which has beautiful views over the Mar Menor. 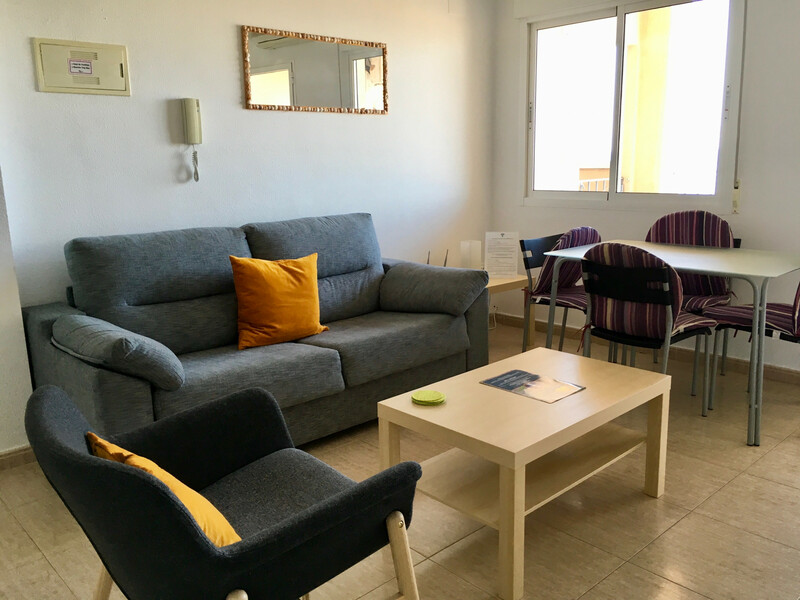 There is a sofabed in the lounge so accommodating up to 6 people. 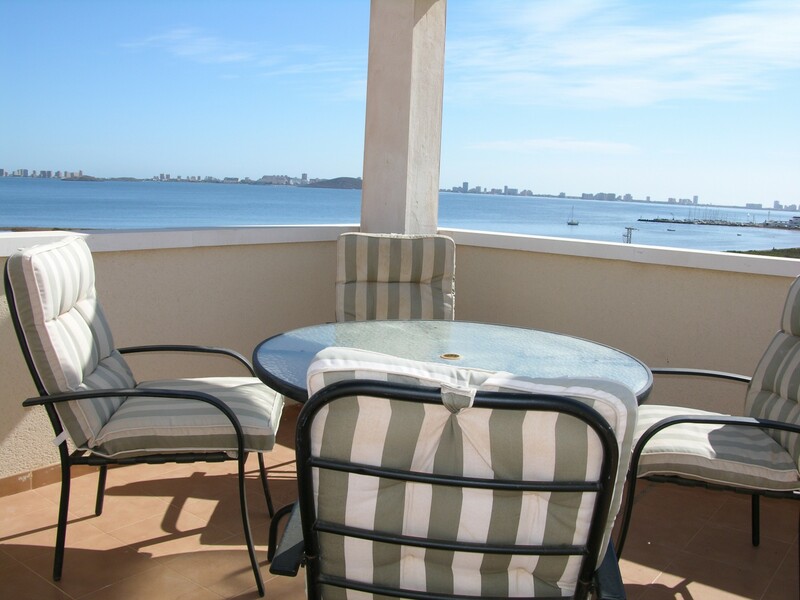 There are steps to the private roof solarium where there is a large area for sunbathing or eating. 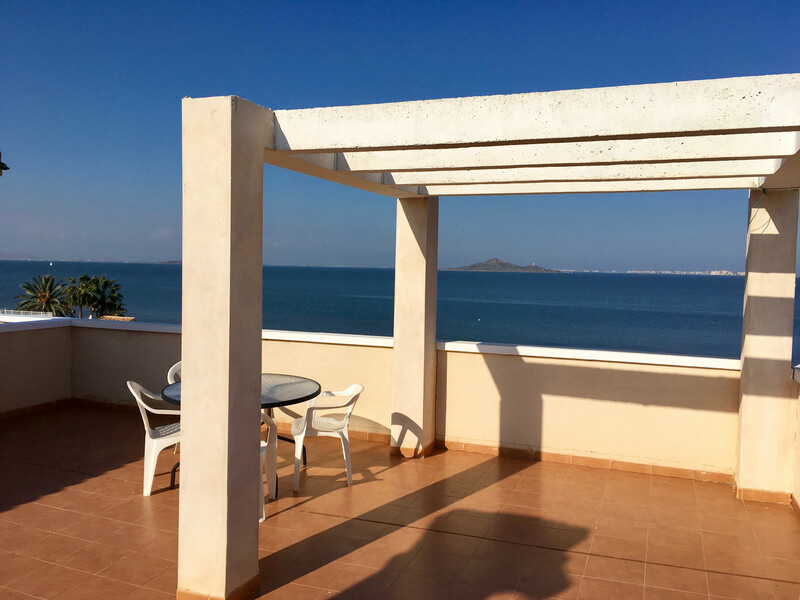 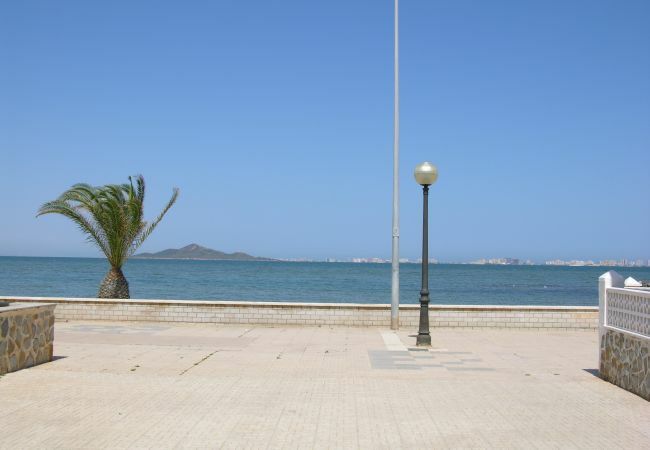 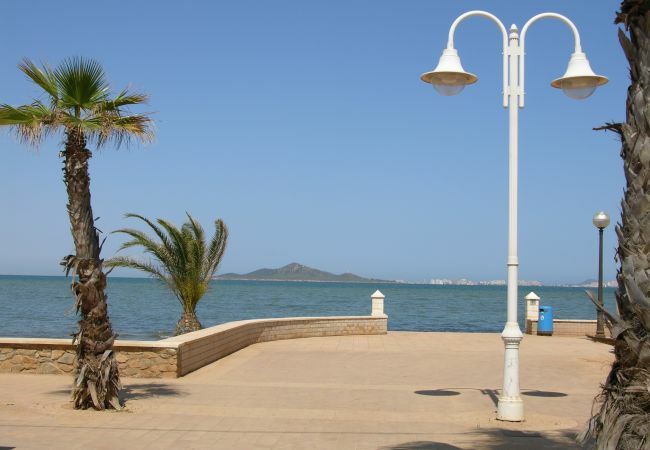 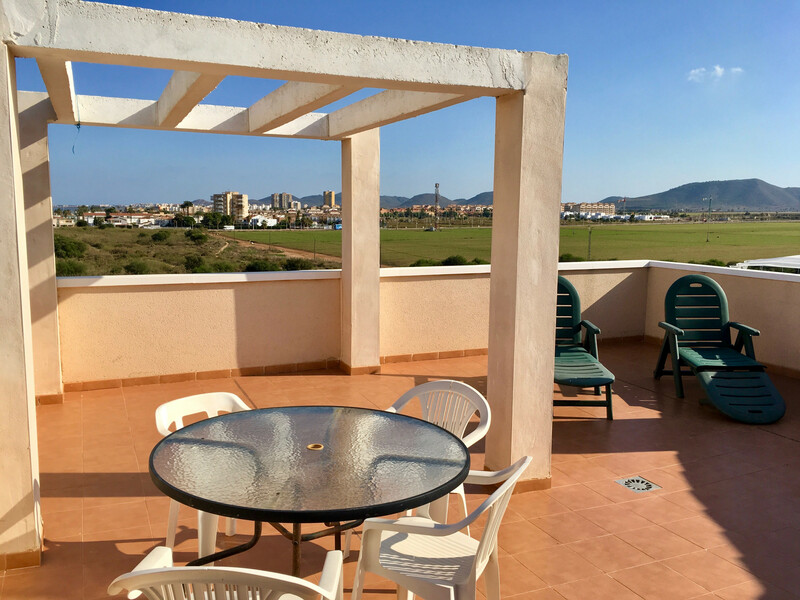 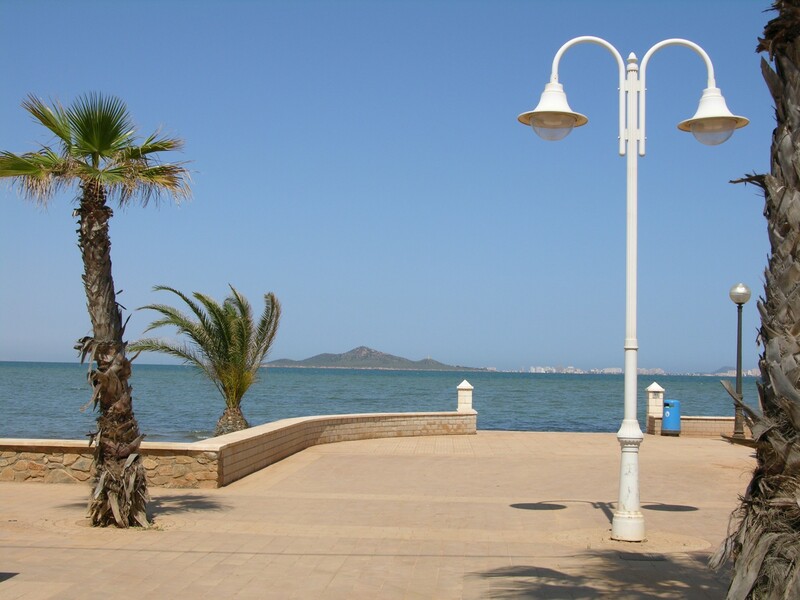 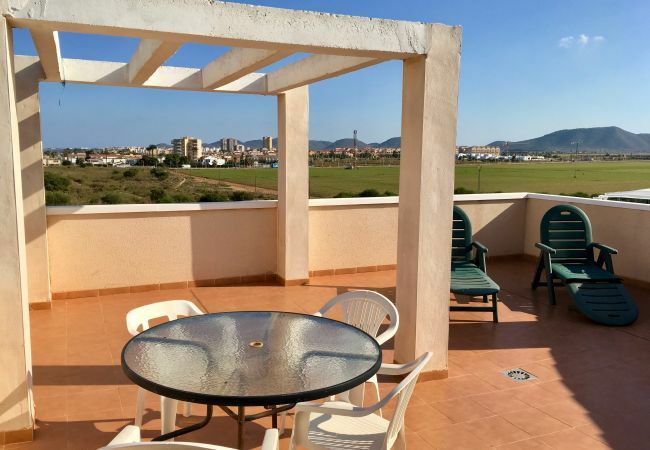 From the solarium there are fabulous 360 degrees views across the Mar Menor, La Manga strip and the mountains. 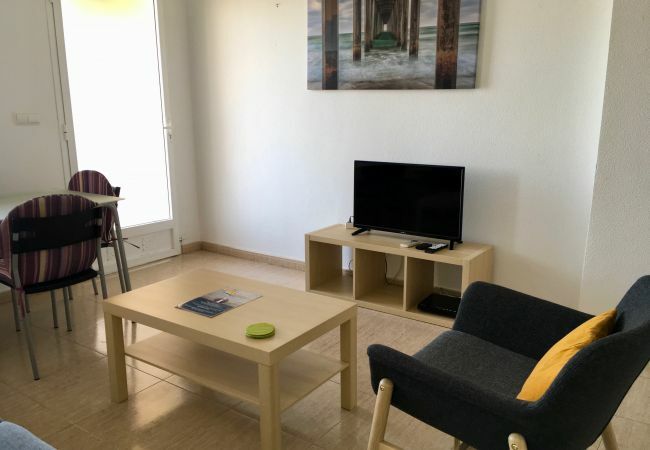 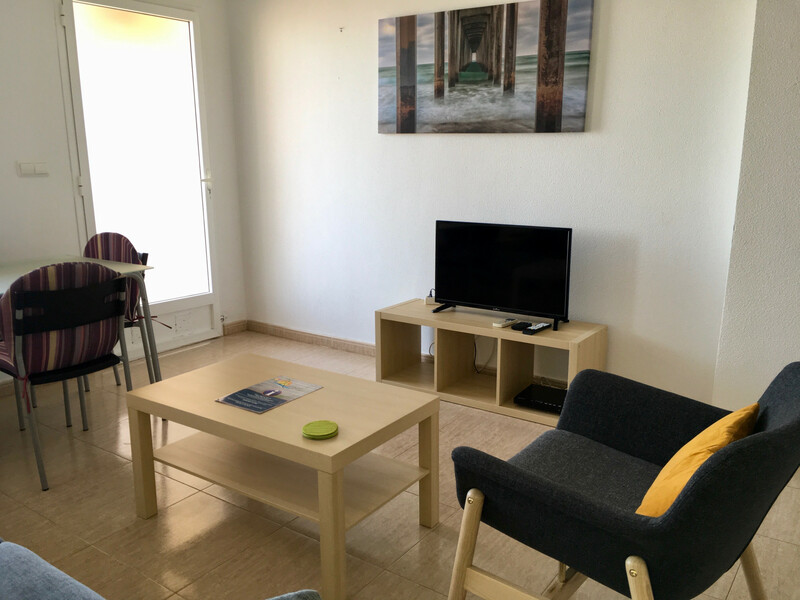 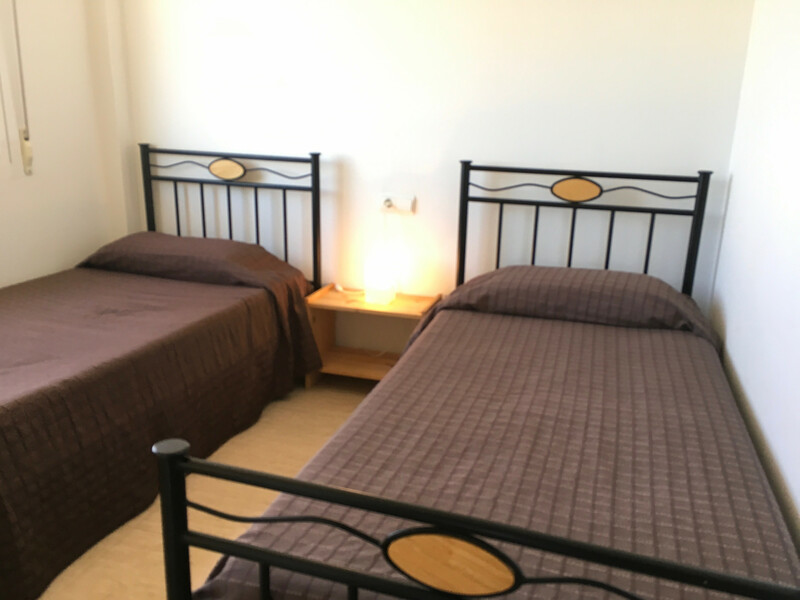 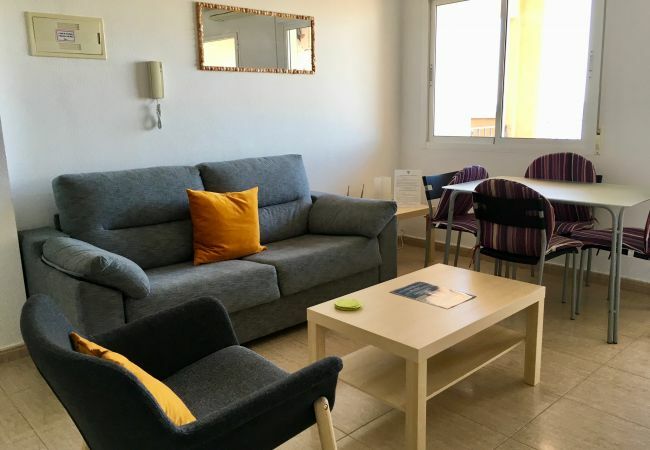 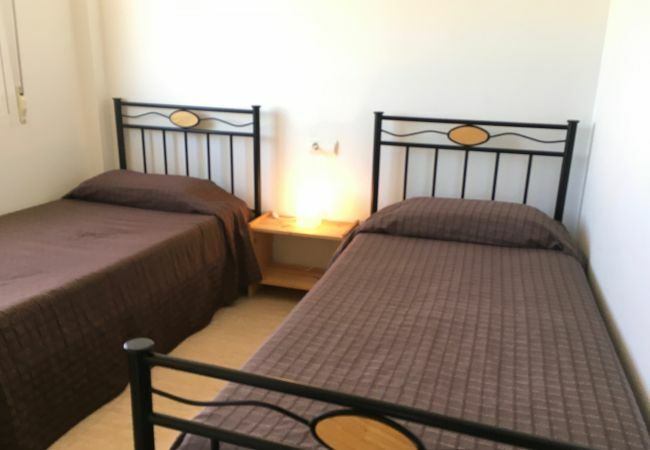 - 1 TV, Stereo, DVD, 2nd floor, garden furniture, terrace, iron, internet (Wi-Fi), hair dryer, balcony, 64 m² property, pet-friendly (Dangerous breed dogs not allowed), central heating, air-conditioned, communal+children's swimming pool. 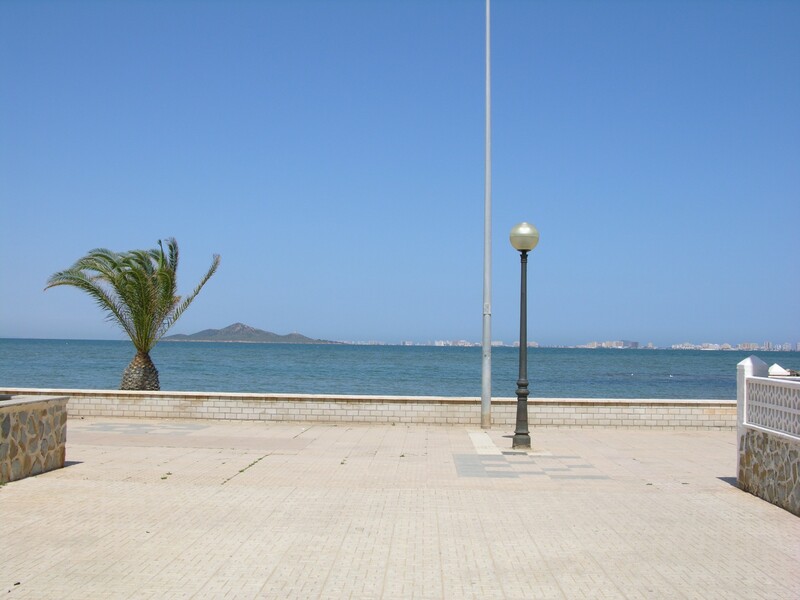 Buena ubicación, limpieza, piscina, admiten mascotas, tranquilidad, playa con muy poca gente.